In celebration of National Pet Day, the world’s first holiday dedicated to man’s best friend, we have been searching through the archive for examples of incredible canines throughout history. From daring rescuers to lovable rogues, we have put together a selection of magnificent mutts whose remarkable stories are guaranteed to warm the hearts of even the most determined cat lovers. 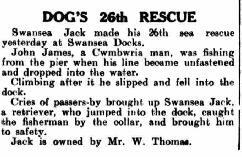 Swansea Jack was a black retriever with a longish coat who lived with his owner, William Thomas, near the River Tawe in Swansea during the 1930s. One day, Jack saw a small boy drowning in the river and ran in, pulling the boy to shore by the scruff of his neck. This first rescue went unreported but, a few weeks later, Jack rescued a drowning swimmer from the docks in front of a large crowd. 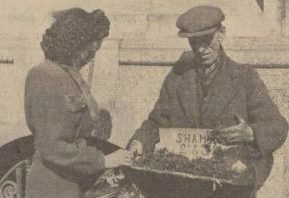 His photograph appeared in the local paper and the local council awarded him a silver collar. 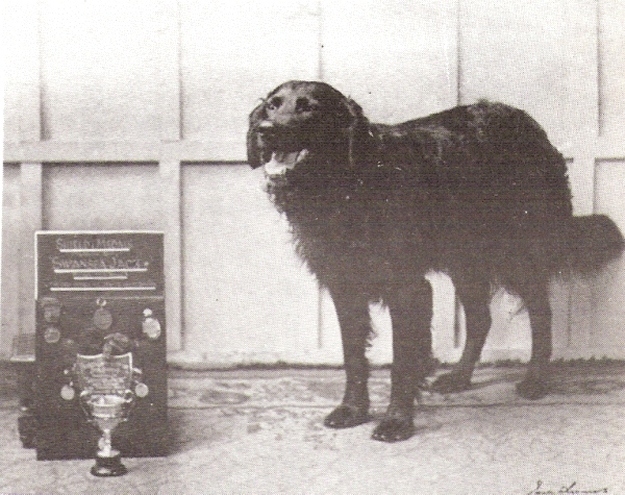 In 1936, he was awarded the prestigious ‘Bravest Dog of the Year’ award by the London Star newspaper in London and, over the course of the next decade, he went on to an incredible 27 people from one of the most dangerous rivers in Wales. 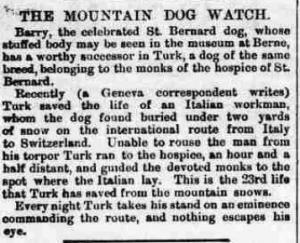 Barry the St Bernard was born in Switzerland in the year 1800. 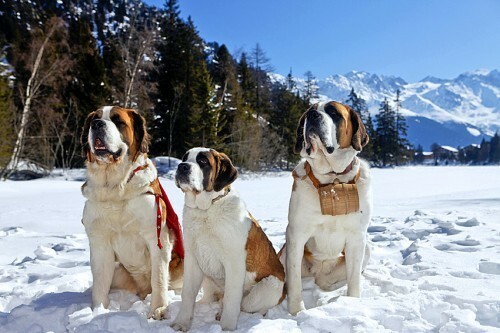 Barry and his ancestors had been specifically bred by the Monks of Saint Bernard Pass, a dangerous snowy divide between Switzerland and Italy, to rescue lost travelers buried in the snow. Barry worked as a search and rescue dog at The Great St Bernard Hospice in the Penine Alps and saved the lives of 40 desperate travelers during his 12 year career. 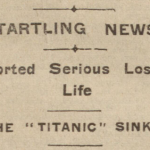 His most famous rescue was of a small child who’d become lost and trapped on a treacherous ice shelf. Barry managed to reach the boy, revive him, and keep him warm until rescue arrived. When it became clear that nobody could reach them, Barry allowed the child to climb onto his back and pulled him to safety. Barry sadly died during his 41st mission when the soldier he was sent to rescue mistook him for a wolf and stabbed him with a bayonet. Barry was so admired that the Monks promised to always name at least one dog at the monastery Barry—a tradition that continues to this day. 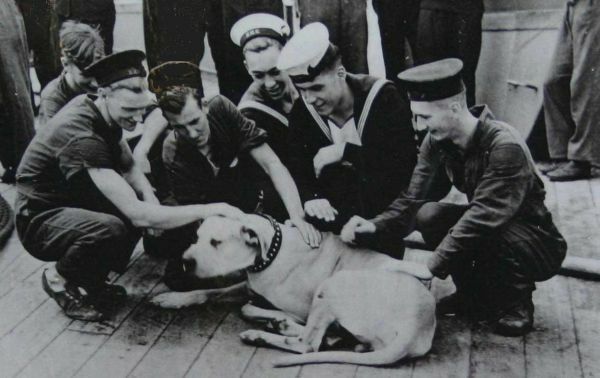 Able Seaman ‘Just Nuisance’ was the only dog ever to be officially enlisted in the Royal Navy. Ship’s dogs had been used by the Navy for centuries but were never considered full members of the crew. Just Nuisance was a South African Great Dane who got his name as a pup by wagging his injured tail so enthusiastically that everyone was covered in blood spatters. Nuisance grew to be more than six and a half feet (two meters) standing up and spent his time in Cape Town’s many dockyards and naval bases. He made friends with many sailors and began following them around and even catching trains with them. Despite the seamen’s attempts to conceal him, conductors would throw him off as soon as he was discovered and officials of the State-owned railway company eventually warned that Nuisance would be put down unless he was prevented from boarding any more trains. This prompted concerned sailors and locals to write to the Navy, pleading for something to be done. 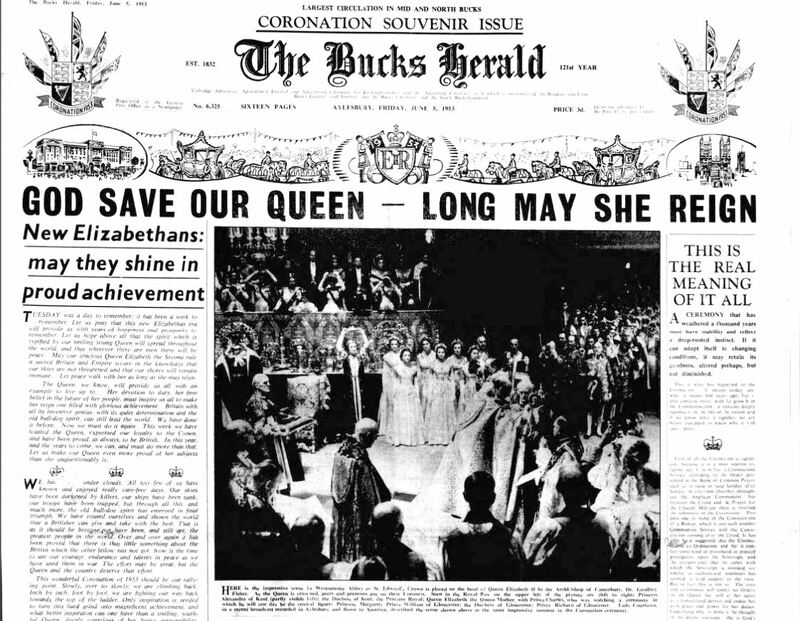 Train rides were legally free for members of the Royal Navy so the popular dog was formally enlisted on 25 August 1939 under the name of Just Nuisance. He became the first and only canine member of the Royal Navy in history and was even promoted to Able Seaman. However, Nuisance’s service record was far from exemplary. 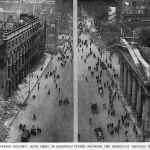 Aside from the offences of travelling on the trains without his free pass, being absent without leave, losing his collar and refusing to leave the pub at closing time, his record shows that he was sentenced to seven days without bones for ‘sleeping in an improper place’ – the bed of a petty officer!